Over the last few years I have reviewed the entire 87th precinct series by Ed McBain (aka Evan Hunter) and posted a summary of the entire series, as well as an appreciation of my favourites, at this link. The police procedural, already established through the works of Georges Simenon, Lawrence Treat and Hilary Waugh, came into its own in the 1950s through the success of Dragnet starring Jack Webb, first on radio (1949-57) and then on TV (1951-59). This had a measurable impact on the McBain stories and Dragnet is in fact mentioned in several of the novels – in Killer’s Wedge Carella at one point says to himself , ‘Now if Joe Friday were here …’. McBain deployed the same basic format as the TV show but reacted against the its flat ‘Just the facts’ style to instead fully exploit the huge variety of stories that could be told using the squad as a corporate character. Some of the books are whodunits inspired by Agatha Christie (Cop Hater), others comedies verging on farce (Fuzz), some (featuring arch-villain ‘The Deaf Man’) are Westlake-like capers, others are religious allegories (the short story ‘And All Through the House’) and political satires (Hail to the Chief) and some even touch on the supernatural (Ghosts). There are also locked room mysteries (Killer’s Wedge) and stories of psychological suspense (Blood Relatives) and one in which the squad plays only a subsidiary role in a first-person tale of a seemingly perfect crime (He Who Hesitates). The main characters are Steve Carella, modeled on Hunter himself, and his deaf-mute wife Teddy; Bert Kling, who has a tragic love-life; red-haired ladies man Cotton Hawes and ultra-patient Jewish detective Meyer Meyer, both of whose fathers thought it amusing to saddle their sons with a comic first names; sadists such as Roger Havilland and Andy Parker; racist Fat Ollie Weeks; coffee-maker extraordinaire Alf Miscolo; pathologist Sam Grossman; and many more besides. Crikey, I didn’t realise that McBain had written so many books. My grandmother (who was a big fan of crime fiction) had two of his books, ‘Lady Killer’ and ‘Give the boys a great big hand’, but I never felt inspired to try reading them, unlike some of her other books. Thanks Ela, I probably need all the encouragement I can get with such a long list! I plan to start review the opening three volumes very shortly with a view to providing a fairly consistent perspective on how the series did (and didn’t) evolve over time. What an impressive project! I wish I had the time to take on such challenges. I’ll watch to see how this one progresses. Hello Jeff, thanks very much for the good wishes – I hope to come up with something valid and valuable (no matter how long it takes). It is quite possible I suppose that Mr McBain’s time has come and gone, but by going through the series more or less chronologically I hope to be able to chart its development. We shall see … 5 down, 50 to go! I’ve been reading Ed McBain in non-chronological order. I haven’t read a bad one yet, but I’m finding it very hard to keep up with the characters’ careers and home lives, so I think your approach makes a lot of sense. My next McBain will probably be Sadie When She Died as part of my plan to read the CWA top 100. Hello there, thanks very much for your comments. Sadie is absolutely one of the best of the series – if it weren’t for the fact that I had accumulated about three dozen of the books int eh series over the years I probably wouldn’t have even tries to do this chronologically – you lose a little by not doing it that way, but I don’t believe it is that important as McBain is very good at filling in the blanks for newbies. Looking forward to reading what you think of his 1972 classic. I’ve read all the McBains over the years and the early to middle volumes are definitely the best. His books are intensely readable and well written and you come to love the characters as if you know them. Good luck on your undertaking and enjoy! Thanks very much for the kind words and the encouragement – from what I have read of the later, longer entries in the series, I suspect I am going to be in agreement with you. How are you getting on with this series? Are you still reading? I’ve pretty much read the lot, but over many, many years and in no particular order. However, I’ve just embarked on a PhD which will take Ed McBain’s 87th Precinct Series as its central text, and so am currently re-reading the lot chronologically as well. I was delighted to find this site. Keep at it! Another fan of the 87th – excellent! I will be reviewing the 25th book in the series later this month – it is taking me a lot longer than I anticipated just because I keep getting suckered into other reading challenges and then go a bit mad near the end of the year to try to complete them! I do want to complete the McBain run so will keep plugging as I really do enjoy them though I am slightly less keen on the longer later volumes on the whole – thanks for the encouragement. Thanks for this article, I keep coming back to it to see how you’re getting on. A challenge, but a hugely enjoyable one nonetheless. I find it quite disheartening how McBain seems to be largely unknown or forgotten now to the general public, despite his hugely influential contribution to the genre. ( Stephen Bochco said he was a big influence for him) and I did hear some years ago that Lionsgate Productions, Stanley Tucci and Steve Buscemi were going to produce a new 87th Precinct series but that seems to have fallen by the wayside. McBain is without question not only one of the finest and most realistic in terms of procedure, exponents of criminal fiction, but one of the few writers whose works I can reread over and over and still get immense joy from. Again, thanks for this blog, and c’mon people , let’s keep the memory of the one of the truly greats alive for ever!!! Thanks Simon – I’ve fallen a bit behind with my McBain reading but hope to start up again the in the new year. is the deafman stiil at large ? Here’s a thought… Just as other writers have taken on the challenge of a new 007 novel,or Sherlock Holmes.. does anyone have any thoughts as to who would make a worthy successor to Ed McBain to carry on the series? How about Jeffrey Deaver for example? 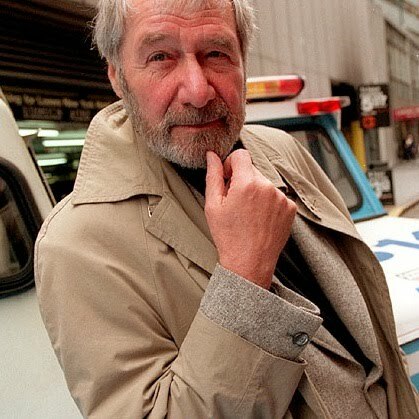 Interesting thought Simon – it’s going to be 10 years in July since Evan Hunter / Ed McBain passed away – it would be nice to have a volume of stories or maybe novellas in his honour, maybe written by several authors? I would love if the likes of Bill Pronzini, Megan Abbott, Lawrence Block, Val McDiermid, Robert Crais et al to contribute – wouldn’t that be great? Yes, his legacy was very important and influential for the genre, both in print and on screen. I wonder if there were any working notes left for his final story Exit, that maybe someone could finish. I just found a copy of GHOSTS in one of my book piles. I am enjoying the experience. Excellent – just re-read than one – review up shortly. it’s a pretty good one I think and certainly unusual. Yes, I remember that too – the attraction of adapting the McBain series, like the Simenon books, is obvious and yet clearly much harder to do in practice. There was also talk of David Mamet adapting King’s Ransom too for the late Mike Nichols with Scorsese producing – be nice if they eventually cracked it though, given the way procedurals and serialised drama have changed, one can imagine that the adaptation might involve a lot of changes. ….and on that note, who would be your ideal casting? by James Edward Mills . The novel is written like an internal NYPD investigation report right down to Xerox copies of documents. It was later made into a pretty good movie in 1975 starring Michael Moriarity, Yaphet Kotto and a young Richard Gere. The novel reminds me of “The Andromeda Strain” with the faux non-fiction approach, but it’s interesting and I believe has held up well. More of a period piece nowadays, but worth a read. The movie is a good one as well. Made back in the mid-70’s when New York city was falling apart and very dangerous, but also more alluring then it is now. Thanks very much for that Jeff – I remember liking the film a lot when I saw it on TV way back when and would like to read it again – sounds like a good companion piece to THE ANDERSON TAPES too – thanks. 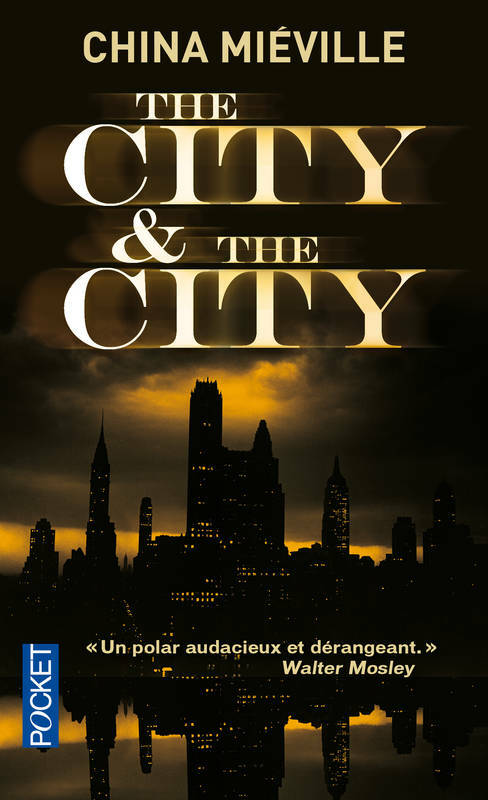 As it was scripted by top genre scriptwriter, Larry Cohen, – and I haven’t yet read the novel – I’m not sure of the extent of the credit due him for his screenplay for the hugely enjoyable tv-movie, Ice, but it’s probably the second-best film adaptation of an 87th Precinct novel that I’ve seen (Akira Kurosawa’s imperious ‘High and Low’ version of ‘King’s Ransom’ is in a league of its own). Thanks Jim and I quite agree. I reviewed King’s Ransom here but have not posted on the Kurosawa. However, I reviewed Ice and the excellent TV-movi version here. I stumbled on my first Ed McBain novel in Beirut of all places – a bookstore there had Signet editions, mostly original to the publication date. They were cheap, the back cover blurb sounded interesting so I gave a couple a try, and then a couple more and then … I’m now buying them from second-hand stores (largely disappearing here) and online. For reasons I’m not sure of, I’d like to have the set on my shelf. I often re-read them, which I don’t do with many books. I enjoy the humour, the relationships between the cops and the whodunit aspect. Good on you for your project. I shall read the reviews with interest. Thanks for the good wishes Sandra. I started reading his books in Singapore I think! I don’t have any signed editions, which I really regret. Fantastic to discover this brilliant website….read many McBains as a teenager in the Eighties …the British Pan copies with the great gold embossed MCBAIN slug on the cover. Think I covered them from SEE THEM DIE through to HEAT inclusive if I can remember….as well as a handful from the first twelve from 1956-60 which came out in a different printing here in the UK at the time. Finally got around to re-reading one last year and was actually very disappointed with BREAD. Tried GHOSTS again this week…which I recalled as my favorite….and it was a very entertaining and genuinely creepy read. Will try a few more going ahead from those that I read back in the day …..perhaps LET’S HEAR IT FOR THE DEAF MAN or CALYPSO which I definitely enjoyed a lot. Will also give SADIE WHEN SHE DIED another go off the back of the positive flagging up here. Great website….happy memories.